Create a newer, more updated look to the brand and the catalog. Oxford Garden wanted to take their catalog design up to the next level. They needed it to portray their furniture as a premium brand in the marketplace. Not something you could buy at a Lowes or other brand store. 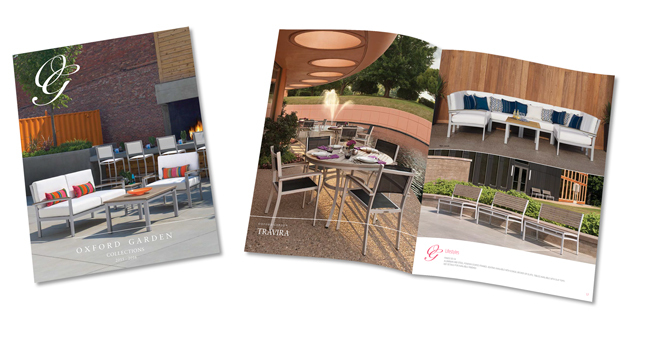 The catalog design needed a refresh. As well as the brand. This made Oxford Garden more visible. Along with enlarged outdoor setting images, larger product images, and descriptive copy. All this was added to make their catalog easier to read. We created a fresh new design. Furthermore combined with expertly styled photography. This made a showpiece that can compete with an any of the competition.